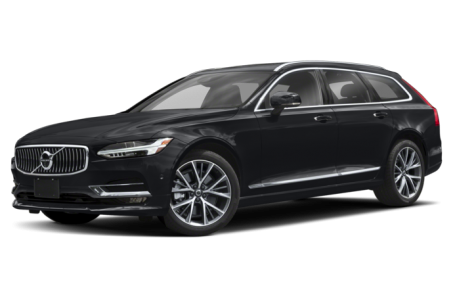 The 2018 Volvo V90 is an all-new, full-size luxury wagon, which has two versions: the T5 and T6. Maximum cargo capacity is 53.9 cubic feet with the rear seat folded down. Both the T5 and T6 versions have R-Design and Inscription trim levels. Powering the V90 T5 is a 250-hp, turbocharged 2.0-liter four-cylinder engine mated to a standard eight-speed automatic transmission or an optional six-speed manual and front-wheel drive. The V90 T6 comes with a more powerful 316-hp, turbocharged and supercharged 2.0-liter four-cylinder mated to the eight-speed automatic and all-wheel drive.